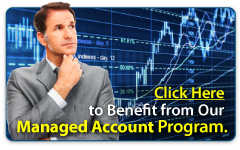 You can use any broker of your choice as long as you use the MT4 platform. In order for trades to duplicate onto your account, you will need to have your computer running at all times. Our software is easy to use, genuine and powered by our top-of-the-line Trade Copier company. You do not have to make any decisions regarding anything involved with Forex trading. We offer 7 day trial for our signals. Why? Because we are honest and want to prove for our visitors that we are able to produce thousands for pips yearly. What we’ve got for you! Monthly 800+ pips (Starting October 2016) as we are more professional now with the market conditions. WE ARE TOTALLY CONFIDENT FROM OUR TRADING. THAT IS WHY WE OFFER 7 DAYS FREE WITHOUT ANY COMMITMENT.